St. Martin's Press, 9780312200251, 352pp. In June of 1969, a series of riots over police action at The Stonewall Inn, a small, dank, mob-run gay bar in Greenwich Village, New York changed the longtime landscape of homosexuals in society, literally overnight. These riots are widely acknowledged as the 'first shot' that ushered in a previously unimagined era of openness, political action, and massive social change. From an era when lesbians and gays were routinely closeted and in fear of losing their jobs, their apartments, their families and even their freedom, these riots - barely covered in the media at the time - were the spark that led to a new militancy and openness in the gay political movement. 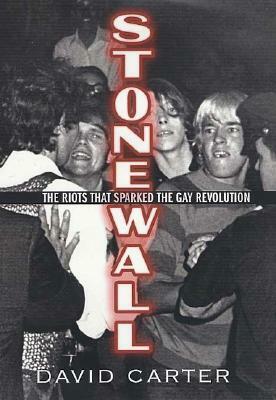 The name "Stonewall" has itself become almost synonymous with the struggle for gay rights and, yet, there has been relatively little hard information generally available about the riots themselves. For the first time, David Carter provides an in-depth account of those riots as well as a complete background of the bar, the area in which the riots occurred, the social, political, and legal climate that led up to those events. He also dispels many of the accumulated myths, provides previously unknown facts, and new insight into what is the most significant rebellion against the status quo until the tearing down of the Berlin Wall. Based on over a decade of research, hundreds of interviews, and an exhaustive search of public and private records, Stonewall is the definitive story of one of modern history's most singular events. David Carter has had a varied career as a writer, editor, and filmmaker. He is the author of biographies of Salvador Dali and George Santayana, he edited and compiled "Spontaneous Mind," a collection of interviews with Allen Ginsberg, and directed the film Meher Baba in Italy for Peter Townshend. Carter has a B.A. from Emory University and an M.A. from the University of Wisconsin. He is a resident of Greenwich Village in New York City.